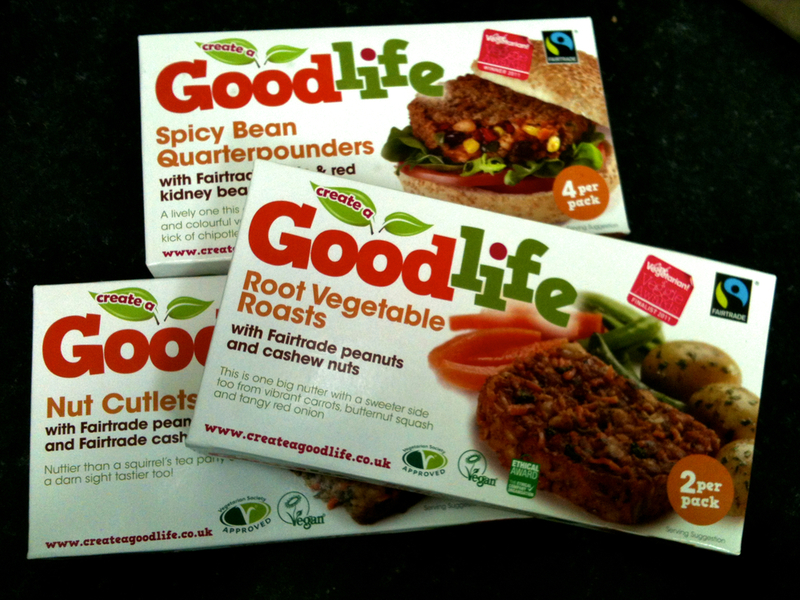 Something substantial here to set you up for the weekend: Goodlife vegetarian frozen foods. All made with natural ingredients by those lovely people at Goodlife and waiting for you in our freezer. Meat free, dairy free, and no artificial colours, flavours, preservatives or hydrogenated fats. We have root vegetable roasts, nut cutlets, and spicy bean quarterpounders in stock now. And of course, this being #fairtradefortnight, they’re all fairtrade products and so could be your fairtrade step of the day….